It’s not difficult to find historic houses in America. Travel around this country and it seems every town claims to have at least one or two homes that have stood the test of time. Few, however, can match the history, authentic restoration, and original content that can be found in the house that sits at 1508 Locust Street in St. Louis. This is where the Campbell House sits, and it’s a remarkable place. For eighty-four years, from 1854 to 1938, a wealthy fur trader named Robert Campbell and his family called this home. Today, it’s a museum and one of the most accurately restored 19th century homes in the United States. The home was originally part of Lucas Place, an exclusive neighborhood that was located on the western edge of the city. Developed in 1849, Lucas Place was the first suburb and the first clearly defined wealthy neighborhood of St. Louis. I plan to write more about Lucas Place future posts, but for now I’ll simply say that it didn’t last long. As St. Louis rapidly grew in the 19th century, wealthy St. Louisans continued moving further west to neighborhoods such as the Central West End and Vandeventer Place. As a result, the stature of Lucas Place declined as early as the 1870’s. By 1900, only a few of the original Lucas Place mansions remained. Despite the transformation of the neighborhood around them, the Campbell family stayed put. This is Plate 42 of Compton & Dry’s Pictorial St. Louis 1875. This map shows the dramatic neighborhood change compared to today. Campbell House is circled below, surrounded by several much larger houses. Today, all of the structures that surround it are long gone. The other white dots mark three churches. Along with the Campbell House, these structures are the only buildings depicted in the drawing that still exist today. When I first toured the house last year, I was fascinated by the stories I heard about the house and the family that lived there. Robert Campbell was born in Ireland in 1804 and came to America in 1822. He eventually came to St. Louis and became a fur trader. He spent the next ten years of his life in the Rocky Mountains, learning the trade and ultimately creating his own company. Upon returning to St. Louis in 1835, he embarked on many profitable business ventures that caused his wealth to grow significantly. By the early 1850’s, Robert Campbell would be one of the richest men in Missouri. Also in 1835, Robert met his future wife, Virginia Kyle. At the time, he was thirty-one and she was only thirteen. Despite the disparity in age, the two became close and began writing letters. After a lengthy (and turbulent) courtship, Robert and Virginia married 1841. In 1854, they bought the home on Lucas Place that is now called Campbell House. Together, Robert and Virginia Campbell had thirteen children. Tragically, only three of them would survive past the age of seven. Three sons (Hugh, Hazlett, and James) would continue living in the home long after their parents passed away. However, none of them would marry or have children of their own. When the last surviving son died in 1938, eighty-four years of Campbell tenure in the house came to an end. This is all just scratching the surface. I’m writing this post because if you are reading it, you need to get over to this house and see it. Even better, you could land me as a docent. I started volunteering at Campbell House in January of 2012. I love the place. It’s filled with history-minded people (and a few drinkers) that I naturally get along with. I learn something new each time I walk through the door. Eventually, I even hope to begin assisting with some research projects. There’s still much to learn about the Campbell family and the home they lived in. Until then, I’ll continue giving killer tours (and possibly mow the lawn from time to time). If you come for a tour, you’ll learn the story about the house, the family, and the servants that worked for them. You’ll hear about Virginia’s parties, hosting elaborate dinners for prominent St. Louisans such as James Eads, Henry Shaw, Susan Blow, and William Tecumseh Sherman. During his Presidency, Ulysses S. Grant is known to have dined at the Campbell House on at least three occasions. You’ll also get insight into why the Campbell House stills stands. As the neighborhood transformed around them, there’s evidence to show why the Campbell family never left. You’ll also see original Campbell furniture, artifacts, paintings, and photographs. The decor, paint, carpet, and fixtures have been painstakingly restored to what the house looked like in 1885. It’s a great window into the past. For more information, visit the Campbell House website. 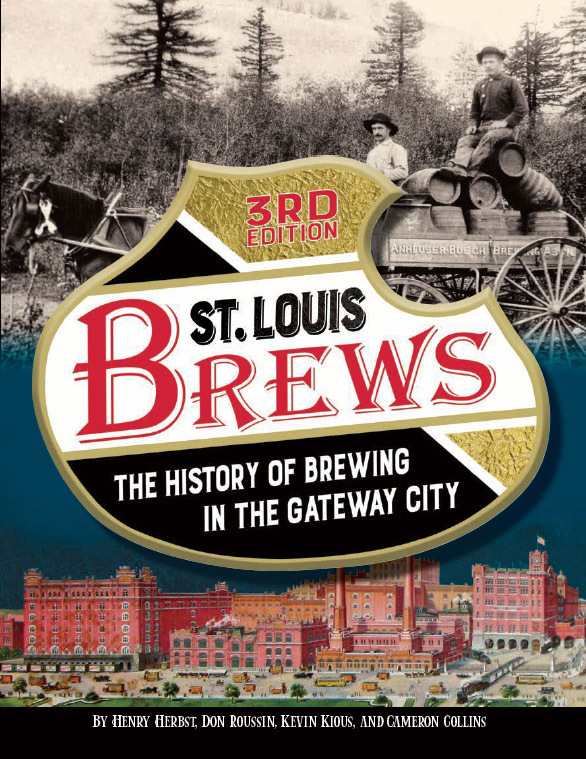 They also write a great blog, covering all sorts of fun Campbell and St. Louis history topics. As I mentioned, one of my favorite aspects of working at Campbell House is that each time I walk in the place, I learn something new. There are so many people who work there that are passionate about one subject or another. My new pal Shelley, the Assistant Director of Campbell House, is a big foodie. She introduced me to Virginia Campbell’s handwritten cookbook. Inside is a recipe for a punch recipe that I’ve been told is very good. Here’s the recipe card, which you can get your own copy of when you come to Campbell House. Of course, I had to try making Virginia’s recipe for this post. Even better, I wanted to learn more about the history of punch. I knew that punch goes way back in the history of drinking, much farther back than cocktails. That’s about all I knew. Today, punch is often known as some sort of Kool-Aid concoction made with floating fruit. It’s often non-alcoholic (except at proms). In college, we used to make a variation of punch called “Hairy Buffalo”. Our recipe started with soaking apples and oranges in grain alcohol. When properly saturated, we’d dump the fruit into a garbage can and fill it with Kool-Aid and more grain alcohol. Older and wiser, this is not the kind of punch I want to research or drink (ever again). Punch actually has quite a history to it. The term “punch” actually comes from the Hindi word “panch”, which means “five”. It’s named as such because that is the specific number of ingredients used to make the drink. The original ingredients vary by source, but it’s always five and one of them is always alcohol. The others could be sugar, a bitter aperitif, lemon juice, beer, milk, tea, spices, or wine, considering which source you refer to. The term “punch” first shows up in British documents in 1632. It’s believed that it was introduced the west by British sailors and employees of the East India Company. Since that time, the variety of punch recipes has become extensive. Anyway, back to Virginia’s recipe, which is named “Roman Punch”. Making the punch was a pretty comical adventure. I grated my thumb a few times along with the lemons, I had no idea where I could get “beet sugar”, and the process of frothing an egg white was completely foreign to me. Fortunately, I had help from my friend Gina who’s a great cook. I’m also very happy I didn’t put Gina’s eye out when I popped the champagne cork (it bounced off two walls before we even heard it). I chose to freeze the drink for several hours to make it nice and cold. I had five friends come over and help me drink it. I’m happy to say it came out far better than I expected. It’s extremely sweet and extremely uh, “lemon-y” (12 lemons will do that). I wouldn’t drink it all day, but I think it would make a nice drink on a hot summer afternoon. My pals each said they liked it. They each had a glass before tackling the stash of beer in my refrigerator. I’ll have to try some other historic punch recipes in the future. Roman Punch, or Punch à la Romaine, has an entry in David Wondrich’s book “Punch: the Delights (and Dangers) of the Flowing Bowl,” a worthwhile book to peruse that combines history and drinks. Anyhow, Roman Punch was indeed rather fashionable in the mid 19th century, and a wide range of recipes exist for it. However, it seems that the punch was ideally akin to a lemon water ice to which champagne was added. Wondrich gives two recipes, both of which involve the use of an ice cream maker to freeze the oleo saccharum sherbet before folding in the meringue and topping with rhum and champagne. It certainly is a drink worthy of a preeminent family.